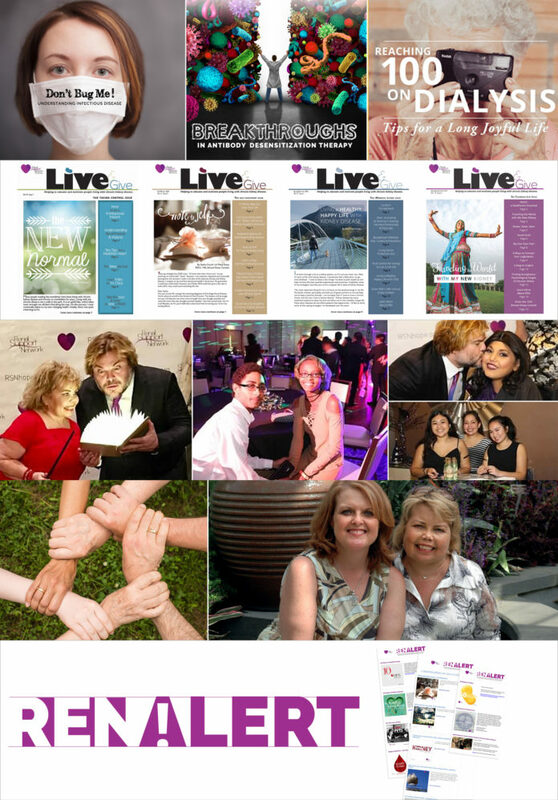 Home Blog What can you do for someone with kidney disease? I was 15 years old when my journey with chronic kidney disease (CKD) began. I was diagnosed with membranoproliferative glomerulonephritis (MPGN). After several months and a missed semester of 10th grade, my condition was reversed, and my kidney function was restored. Fast forward 10 years to the start of my career (and my own health insurance): I was diagnosed with focal segmental glomerularsclerosis (FSGS) and advised that end stage renal disease (ESRD) was inevitable. However, I had excellent care and a fantastic nephrologist, and, thankfully, I avoided dialysis by receiving my first kidney from my father. Coincidentally, six years after my transplant, my husband was rushed to the dialysis clinic. Fortunately, he received a kidney from his brother less than nine months later. Now, 22 years and about 12 jobs later, with one degree, one husband and two kids in, I’m on hemodialysis and preparing to receive a second kidney from my brother. 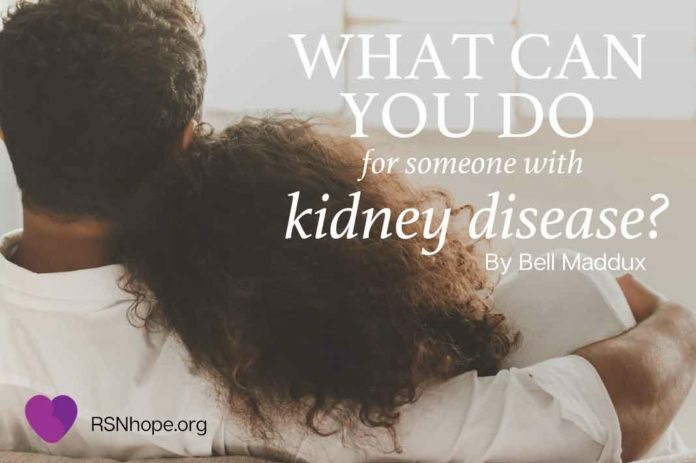 If you are a spouse, friend, child or cousin of someone in any stage of kidney disease, it can be hard to know what kind of help is most needed. Chronic kidney disease is tough because it’s one of those illnesses often referred to as an “invisible disease.” You know there is something wrong with your loved one’s kidneys but generally they seem okay. They don’t look sick. So, what could you be doing, if anything, to help? As someone who has been a caregiver and a kidney disease patient, I’ve detailed some key insights into the experiences of someone with CKD and ESRD, which may not be readily apparent to the people around them. Okay. We’ve all been tired before, perhaps after a long night out or after working a lot of hours. But the fatigue that comes with end stage renal disease is a different story. It comes as a result of the anemia a kidney patient might be experiencing. All of the things I did before my kidneys failed that required a modicum of energy are suddenly insurmountable. Walking up the stairs, lifting a bag of groceries, or just crossing the street, I find myself pausing often to catch my breath and regain my strength before I continue. It’s a kind of tiredness and muscle weakness that requires me to carefully plan how I’ll get through my day. I sometimes worry that I will go out and end up with not enough strength to get back home. Throughout my journey with kidney disease, I’ve experienced a range in severity of edema (a swelling of the extremities). As a teenage girl, it was embarrassing and uncomfortable. Often the swelling would be in my face and neck, legs and ankles. I recall even having a swollen and distended stomach, which to an onlooker probably looked like I was several months pregnant. As an adult, it was hard at times to wear shoes or even walk because the balls of my feet held so much fluid. Looking in the mirror and seeing a face that did not resemble my own was jarring. For me, it felt like the person I use to be was being usurped by my illness—almost like my identity was being lost because it felt as though I couldn’t be seen anymore. The swelling came and went, but it was the emotional effect that was harder to deal with. If you’ve ever driven on a foggy night and strained to make out the words on road signs, then you have a good idea of what brain fog is like. I can be in the grocery store trying desperately to tune into my thoughts, like one does to tune into a radio station, to hone in on what I knew were a few items I needed but my mind just sent back static. It’s frustrating to say the least, but it’s also difficult to explain. How do you suddenly become unable to recall simple things or articulate a coherent thought? Research shows a link between renal decline and cognitive decline, but that’s not the kind of thing you can explain, for example, while you’re giving a presentation at work. No matter what phase of kidney disease someone may be in, there are a lot of medications they need to take. A lot. For me, all these medicines come with side effects that cause weight loss and a loss in appetite. Now, don’t get me wrong, I like food, but food has not been my friend lately. Frequent changes in prescriptions can be hard to handle. My side effects have included vomiting, diarrhea, and a metallic taste in my mouth that changes the flavor of some of my favorite foods. Still, nutrition and a balanced diet are critical to kidney health for CKD patients, so poor nutrition can become problematic for someone already dealing with the disease. The person in your life that is going through some type of kidney disease may be unable to verbalize the physical or emotional effects they are experiencing. It can be difficult to explain how it feels to be unable to sort out one’s thoughts or have the need to rest while carrying out simple day-to-day activities. There is a definitive impact on the person’s quality of life and mental and emotional well-being. It’s a lonely place to be, but if you can show your loved one that you understand what they are going through without them having to feel that they are complaining about it, that is a tremendous benefit. No one wants to be a burden. No one wants to feel they are inflicting anxiety or stress on the people around them. Therefore, it becomes difficult for the person to talk about the bizarre, invisible symptoms that may or may not be understood by others. Instead of asking how the person is feeling, ask if they are able to eat anything. If you’re out in public, discreetly give them an arm to lean on. Consider that while a dinner outing can brighten their mood, it may be more difficult than it is helpful. A nice dinner at home that’s more like a sampling menu would be better. Between juggling symptoms, prescriptions, doctors and insurance companies, I crave some normalcy. The most meaningful interactions that I have now with friends and family are the ones in which my kidneys are not the center of attention. One of the best things you can do for your loved one as their caregiver – or just as their friend – is to make them laugh. Tell them they are doing a great job. And then tell them everything is going to be okay. 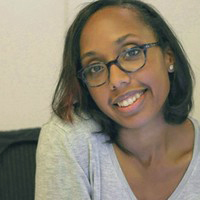 Bell Maddux is a full time Digital Producer in the Ad world of New York City and she lives with her husband and two children in New York’s beautiful Hudson Valley where she was born and raised. While most of her free time is spent exploring local shops, events, and food spots with her family and friends, her absolute favorite thing to do is sit alone on a busy city block with her camera.